So, to recall the delicious taste of the omelette I decided to post a recipe with redcurrant preserve. This is a delicious crostata that I must make again soon, the hubby also enjoyed it very much and he is not usually a big fan of fruit preserves. 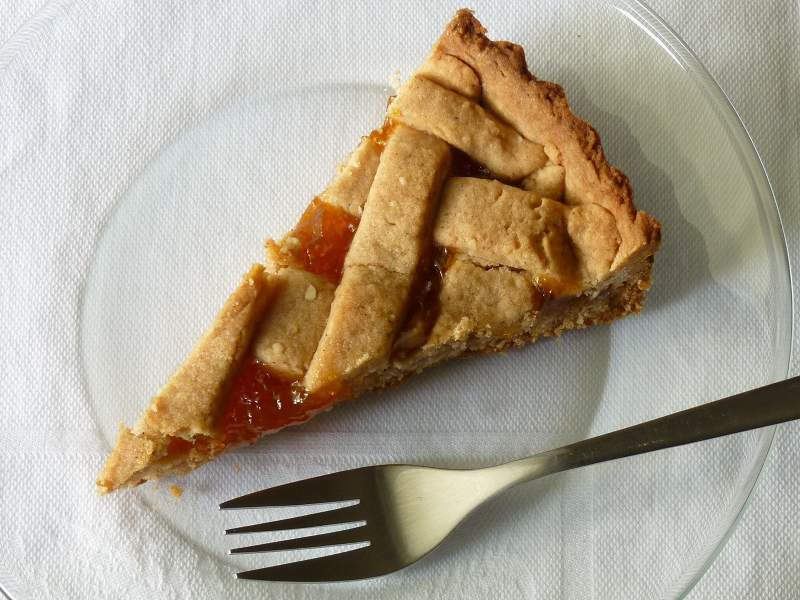 This recipe is very similar to the one for Linzer Torte, a crostata from the city of Linz, Austria. The crust is flavored with cinnamon and quite different from the usual “frolla” used for crostata pies, it remains crisp and crumbly. 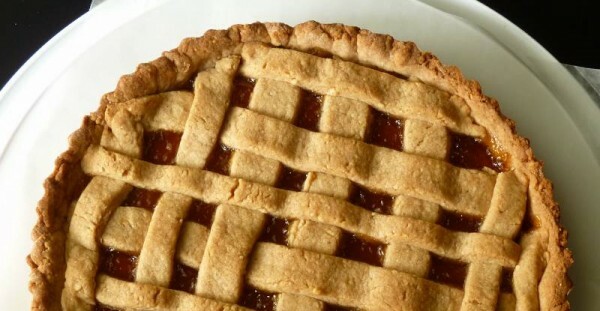 For my crostata I used apricot preserve, but here is a tip: you can find redcurrant preserve at IKEA! Cut the butter in chunks and soften at room temperature. Mix the butter and sugar with an electric mixer, until soft and creamy (Picture 2). Add the yogurt and mix some more. Add the almonds, flour, baking powder and cinnamon. Knead quickly, make a ball, wrap in plastic (Picture 3) and rest in the fridge. The dough will be soft, it needs to chill before you can roll it. 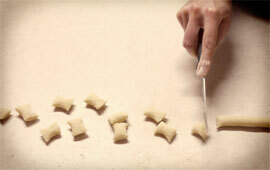 Roll 2/3 of the dough and lay on a buttered and floured crostata pan (28 cm, 11″ in diameter). Cover the bottom and the sides. Prick the bottom with a fork and then spread the preserve evenly. With the remaining dough make long strips and form a lattice over the crostata. Bake for 40-45 minutes at 180°C (356°F). 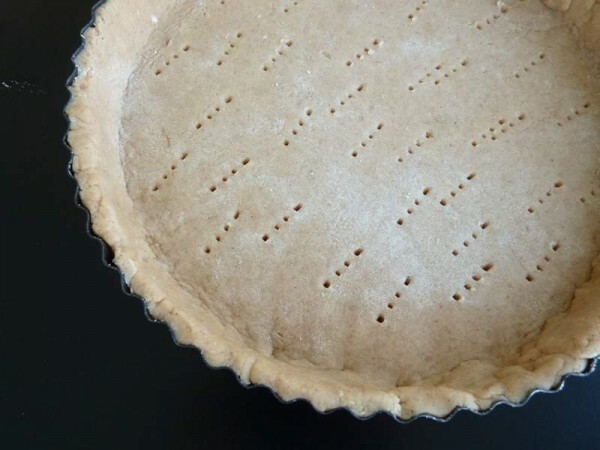 Let cool and enjoy its spicy flavor and the combination of sweet crust and bitter preserve. PASTRA FROLA!! la faccio con “dulce de batata” anche. Non so si c’e’ in europa… delicioso!!!!! Pasta Frolla is THE BEST! This one is very special though, spicy and nutty. I have never heard of dulce de batata, but wikipedia says: “is a traditional Argentine, Paraguayan and Uruguayan dessert”. I don’t think it is exported to Europe. Always learning something new!